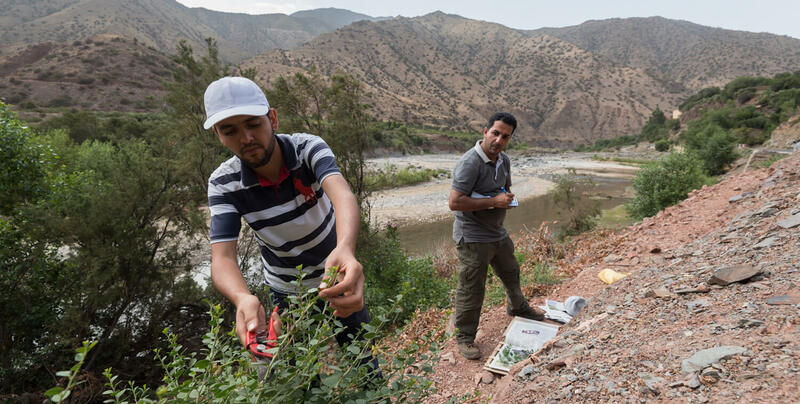 Improve water and soil management in two river sub-basins of the Atlas Mountains, in the Communes of Imegdale and Ait M'hamed, Morocco. Starting with a participatory assessment of the situation of the river sub-basins and an analysis of the current water use, Global Diversity Foundation (GDF) will work with the communities, local governments and foundations to design local water resource development plans, which include provisions for maintaining the flows of water for natural areas. The project intends to support better management of at least 1,000 hectares of agricultural land and to protect 100 hectares of natural areas rich in plant diversity.